Beijer Hockey Games: Sweden - Czech Republic. Tonight I'm going to see Sweden's match against the Czech Republic in Beijer Hockey Games! I got free tickets from a contest by the Swedish Ice Hockey Association so I'm going there with my Brother and a friend. This will be the first time I get to see a hockey game in real life so it will be a new experience for me. But it's definitely fun and exciting that I get to see our national team Tre Kronor play in my first hockey game! The match starts at 19:00 and it will be played at Hovet in Stockholm. Beijer Hockey Games will be played during February 7-10, 2019. The countries playing in Beijer Hockey Games are Czech Republic, Finland, Russia and Sweden. The tournament was previously called Sweden Hockey Games. 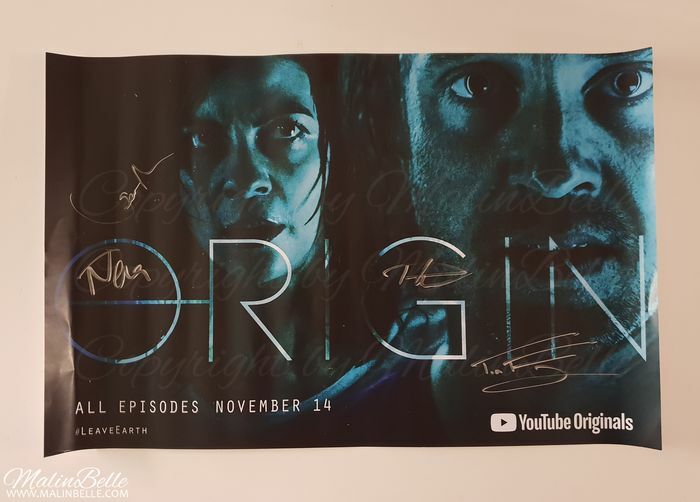 “Origin” poster signed by Tom Felton & Natalia Tena giveaway by Mugglenet. 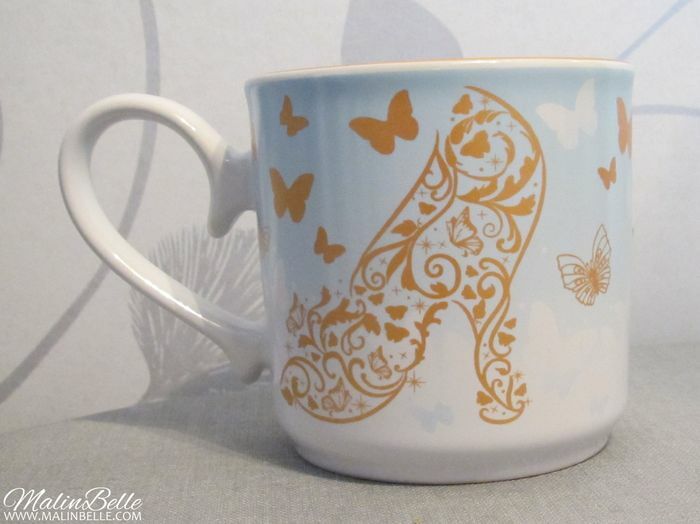 I was so lucky to win it in a giveaway Mugglenet had in November and I received it two weeks ago. Thank you so much Mugglenet! ❝Pacific Rim: Uprising❞ contest by Gamereactor. 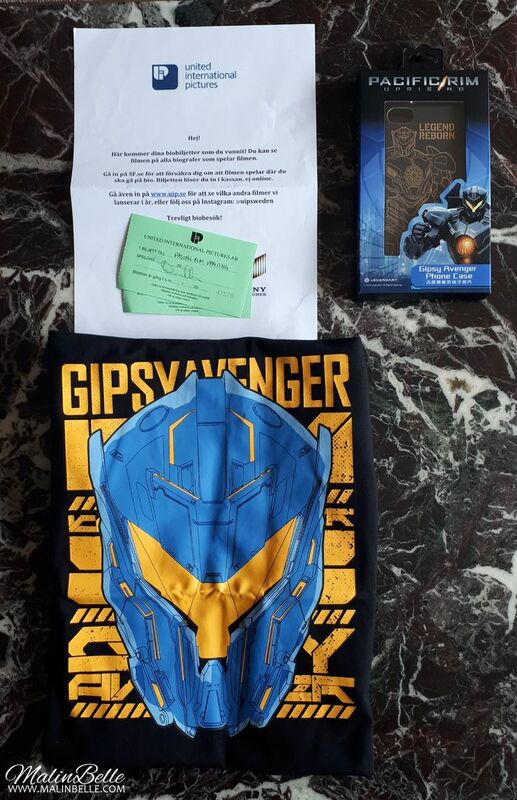 2 free tickets to the “Pacific Rim: Uprising” movie, a T-shirt and a phone case from Gamereactor. 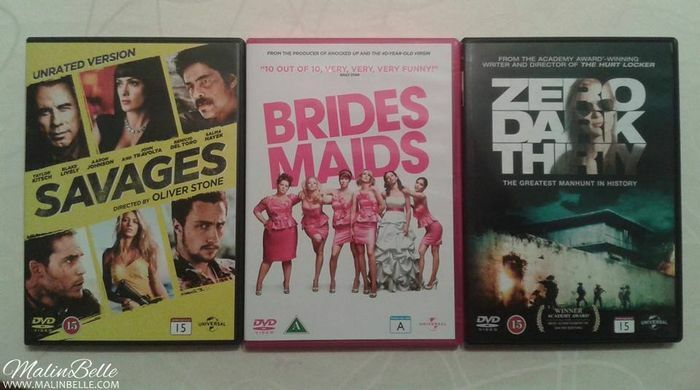 On Sunday when I got home to my Mom's place she told me I had received a package. I've obviously had my own address since I moved so I had no idea what package it could be since nothing really should be sent there anymore. 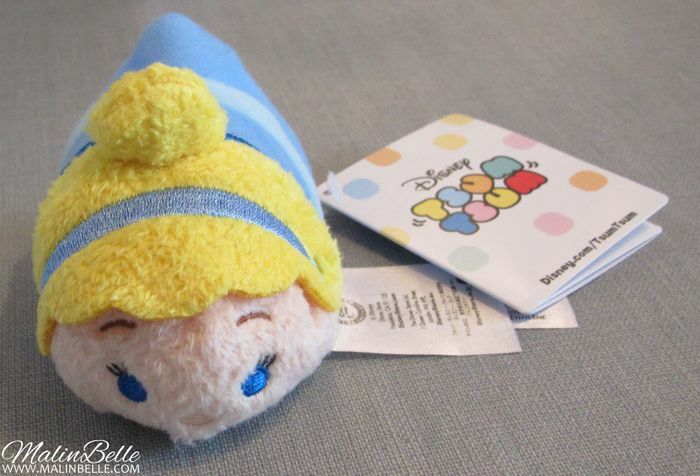 But I probably would have guessed that it might be a contest win and I would've been right. 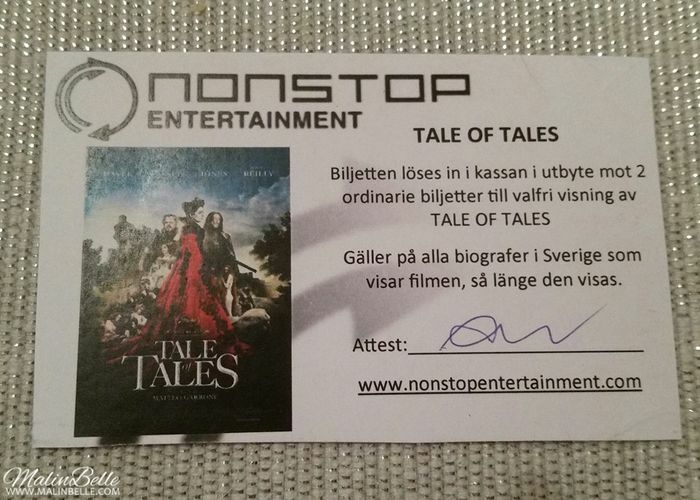 Unfortunately, they've sent this very late since the movie premiered last month and it seems like none of the cinemas in Stockholm are still showing it so I won't be able to see it, so that's kind of annoying when I entered this contest for the movie. ❝Maze Runner: Death Cure❞ contest by Månpocket. 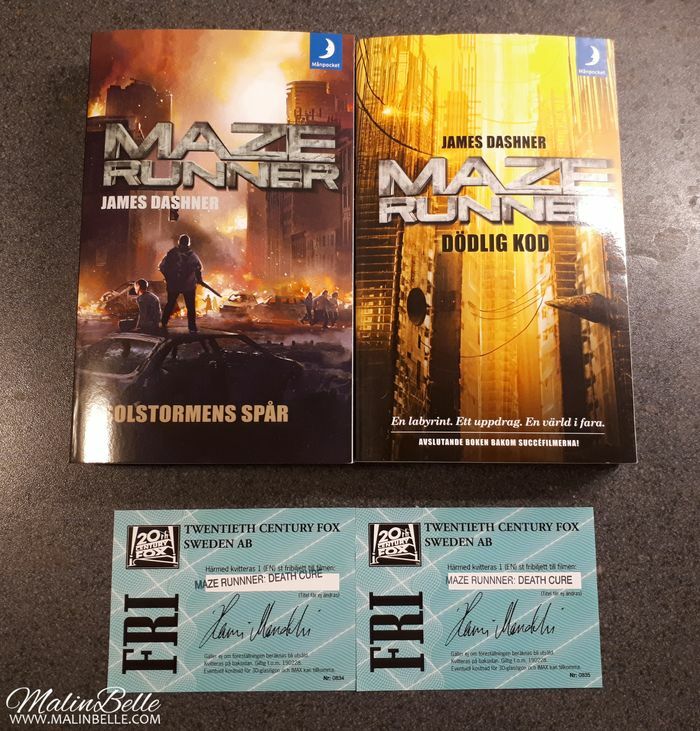 “The Kill Order” and “The Death Cure” by James Dashner (in Swedish) and free movie tickets to “Maze Runner: The Death Cure”, which is the last movie in the trilogy! I'm going to go and see the movie with my Brother since we watched the two first movies in the trilogy together. 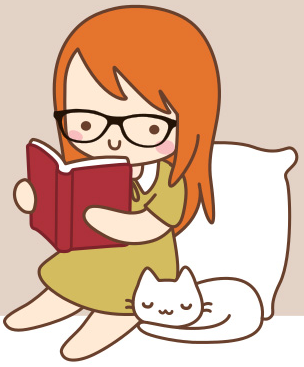 ❝Half the Sky❞ giveaway by Our Shared Shelf, Goodreads. 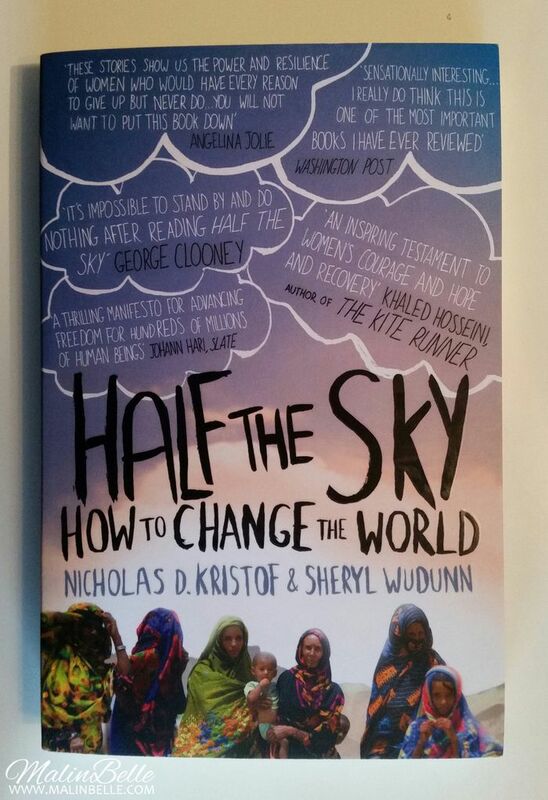 “Half the Sky: How to Change the World” by Nicholas D. Kristof and Sheryl Wudunn. 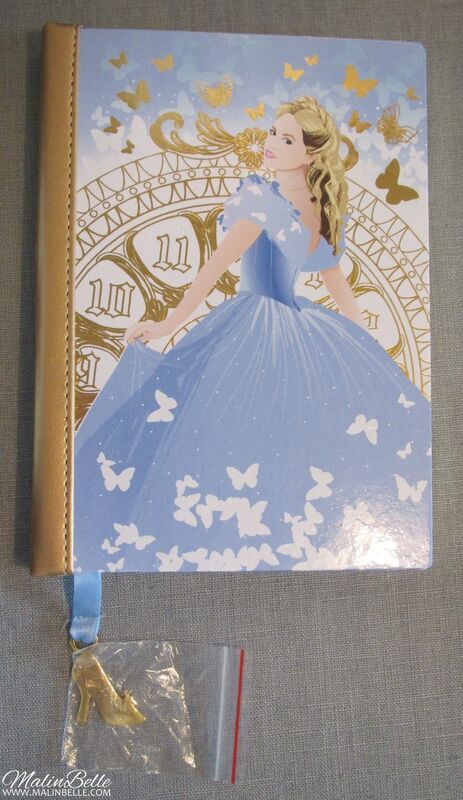 I won this book in a giveaway from Emma Watson's book club “Our Shared Shelf” at Goodreads. 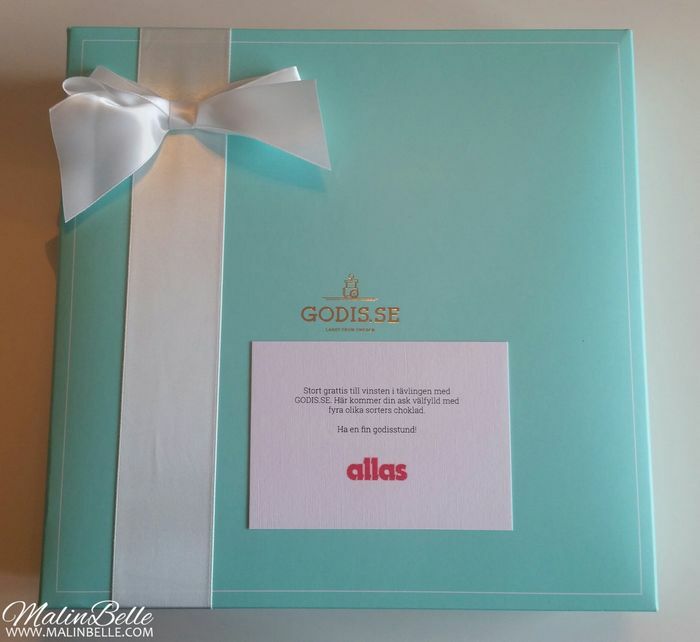 Chocolate contest with Godis.se by Allas. 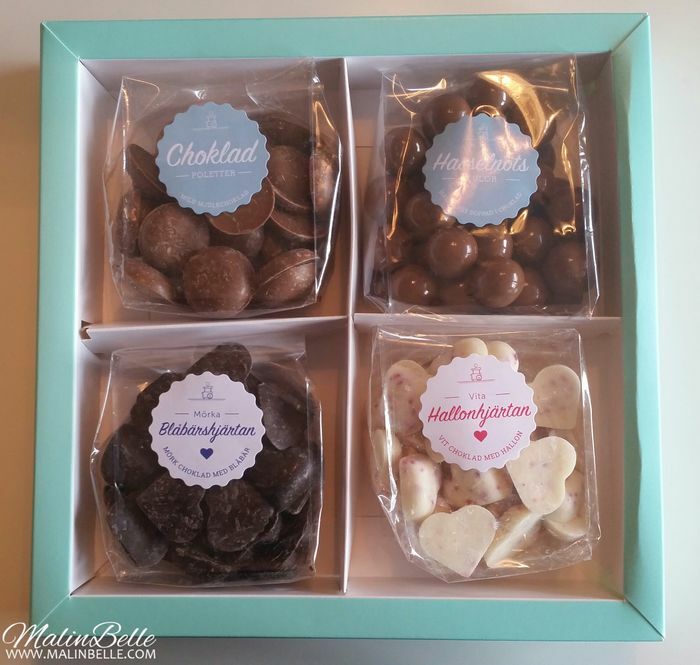 I got this box filled with 4 different chocolates from Godis.se in Allas contest. 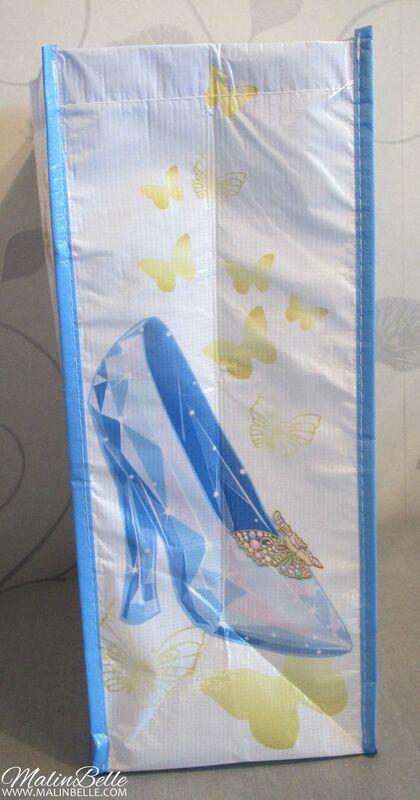 This was a great prize for someone who loves chocolate! 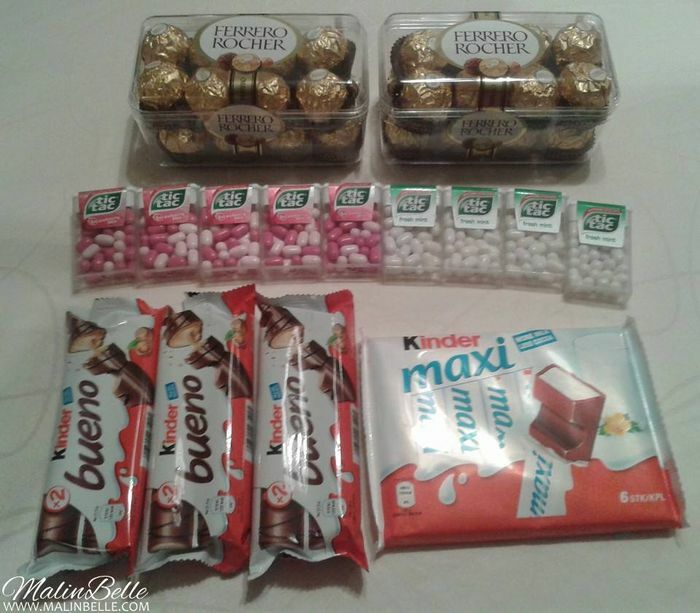 I preferred the two milk chocolate kinds at the top and gave the other two kinds of chocolate to my Mom. 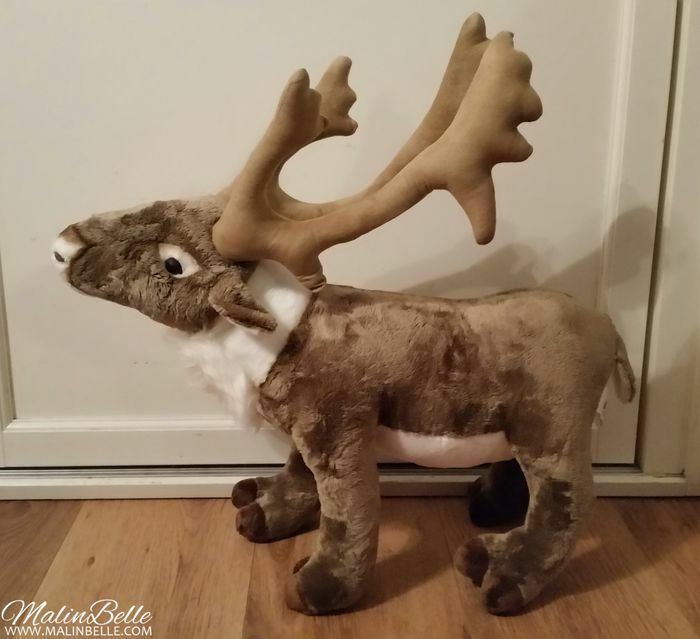 This week I got my Reindeer stuffed animal that I won from Polarbröd. Sven will be perfect to include in my Christmas decorations and have him stand somewhere during Christmas. 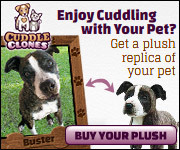 Having your own reindeer, stuffed animal or a real one, seems very Scandinavian after all so I may let him guard my home all year round, haha. Sven is a lot bigger than Pika but Pika has already sniffed on him and didn't care much about him so he's accepted into the family. 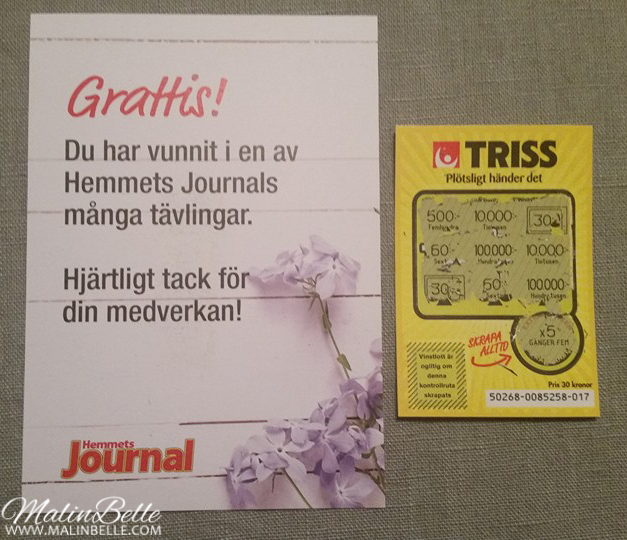 Trisslott contest by Hemmets Journal. Today I got my prize that I had won in a Hemmets Journal contest. It was a trisslott (lottery ticket) but as you can see in the photo above I didn't win anything unfortunately. 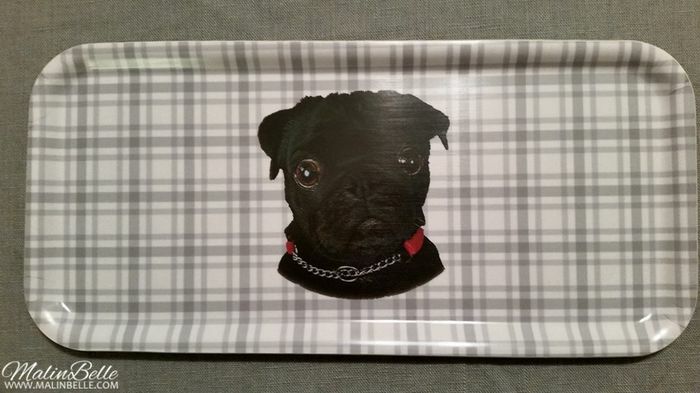 Pug tray contest by Kombilotteriet. Today I got my prize from a Kombispel contest. 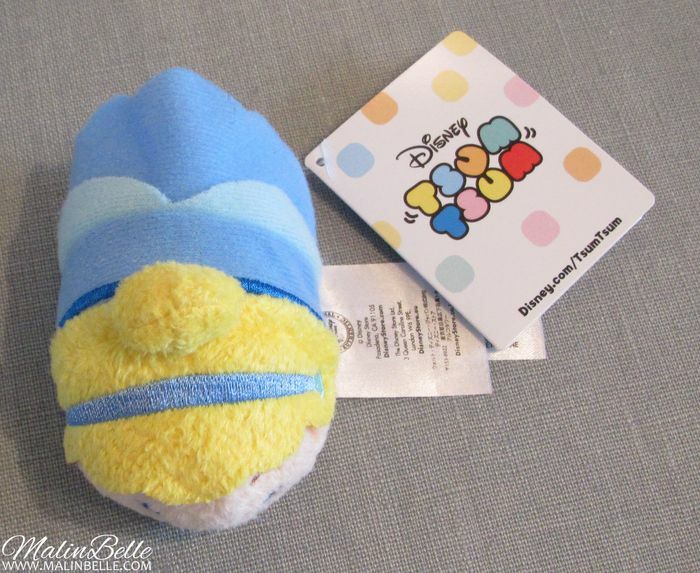 Everyone who entered this contest actually got the prize, which was so generous of them. 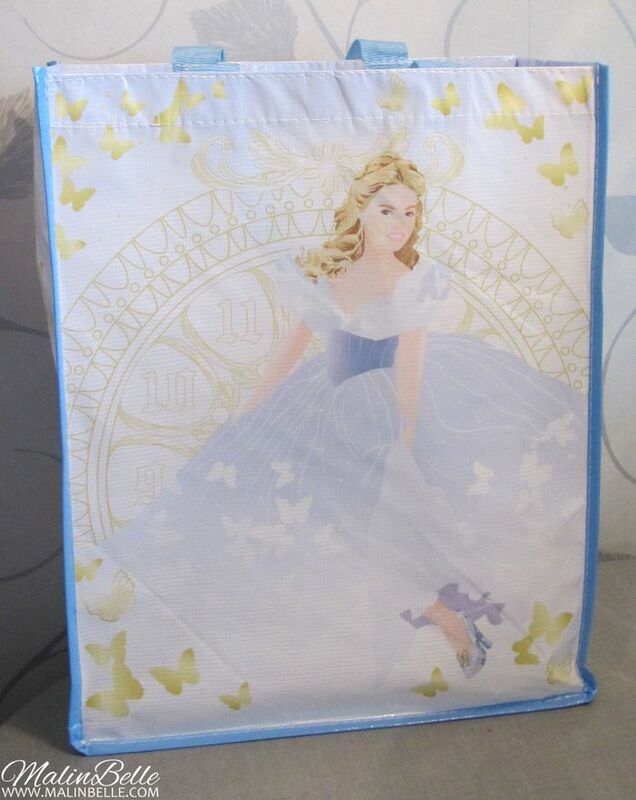 The prize was a tray with a black pug on, as you can see on my photo above. I entered the contest since my Mom really likes pugs so I gave it to her. ❝Everest❞ contest by National Geographic Channel. Today I got my prize from a contest by National Geographic Channel. 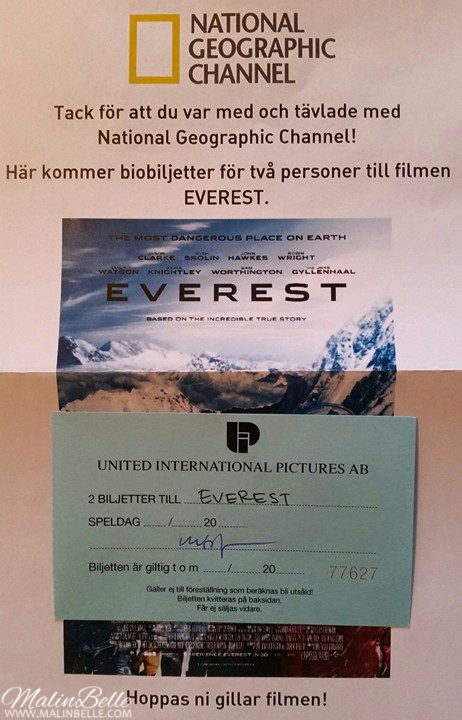 I won 2 tickets to the movie “Everest” that I've been wanting to see ever since I heard about it. Both Keira Knightley and Jake Gyllenhaal that I like are starring in it. ❝Jupiter Ascending❞ contest by Viaplay. 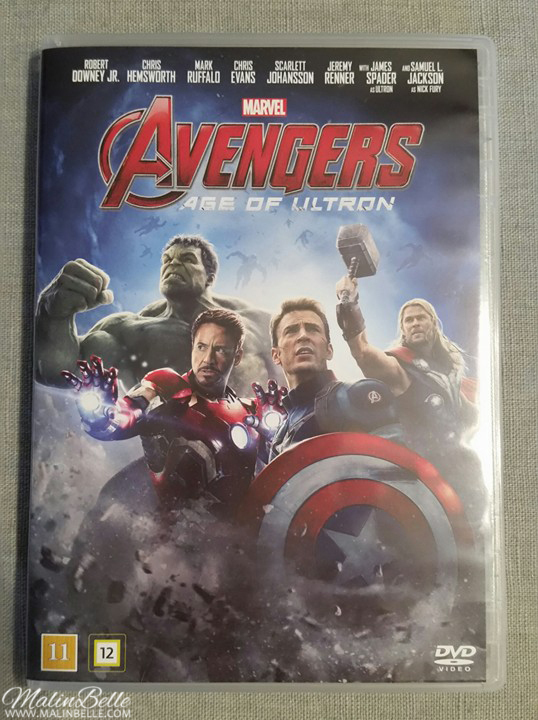 Today I got my prize from a Viaplay contest. 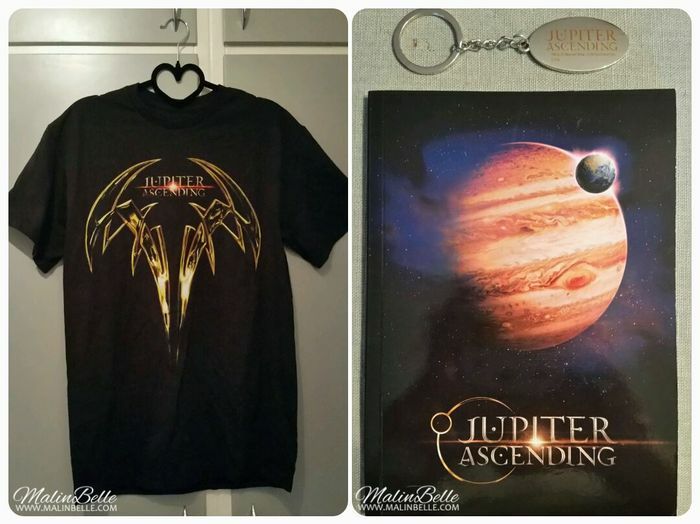 I got a “Jupiter Ascending” t-shirt, a notebook and a keyring. ❝Allegiant❞ + ❝Mockingjay Part 2❞ contest by Telia. 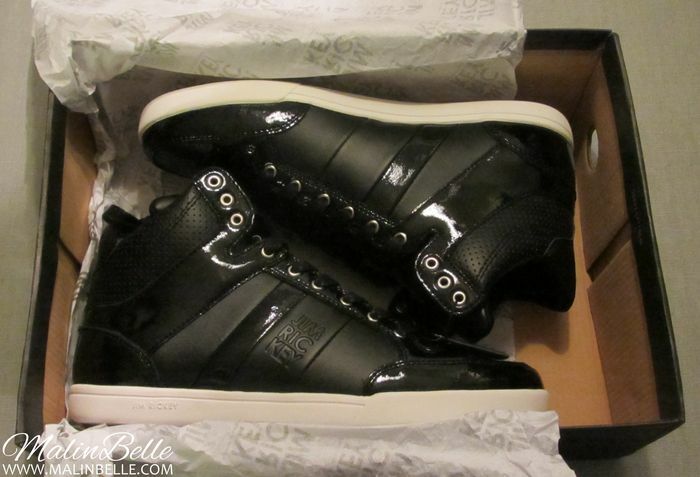 Today I got my prize from a contest that Telia had. 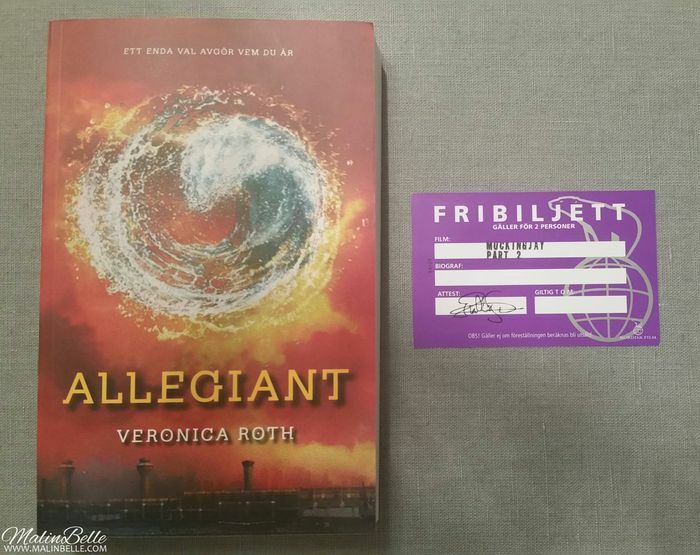 I won 2 movie tickets to “Mockingjay: Part 2” and the book “Allegiant” by Veronica Roth. I'm obviously going to see “Mockingjay: Part 2” on the premiere since it's the last “The Hunger Games” movie so it was nice to get free tickets. Unfortunately I already own a copy of the “Allegiant” book but I obviously entered this contest because of the free movie tickets to “Mockingjay: Part 2”. I'm probably going to give away the book to a friend if someone wants it. Melody Gardot contest by Icakuriren. I got this letter from Icakuriren on Tuesday saying that I had won their Melody Gardot contest! 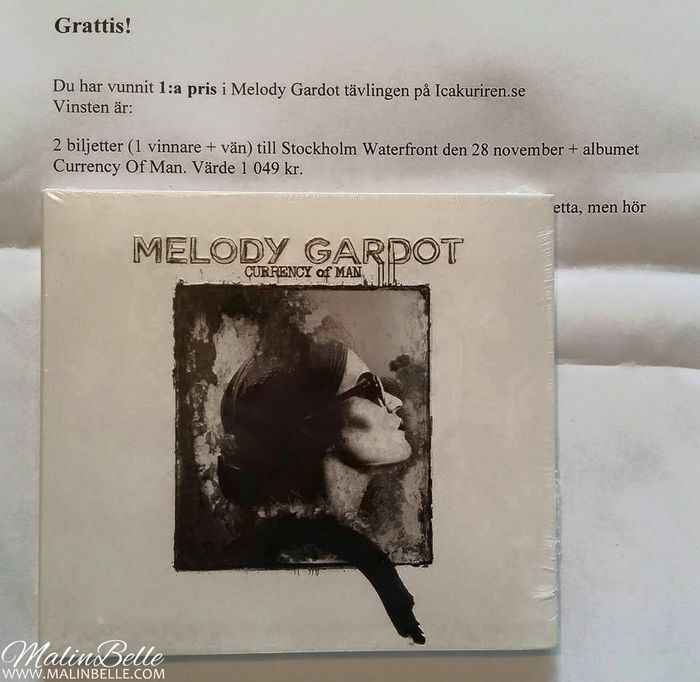 So I won 2 tickets to her concert at Stockholm Waterfront on November 28 + her new album “Currency of Man”. 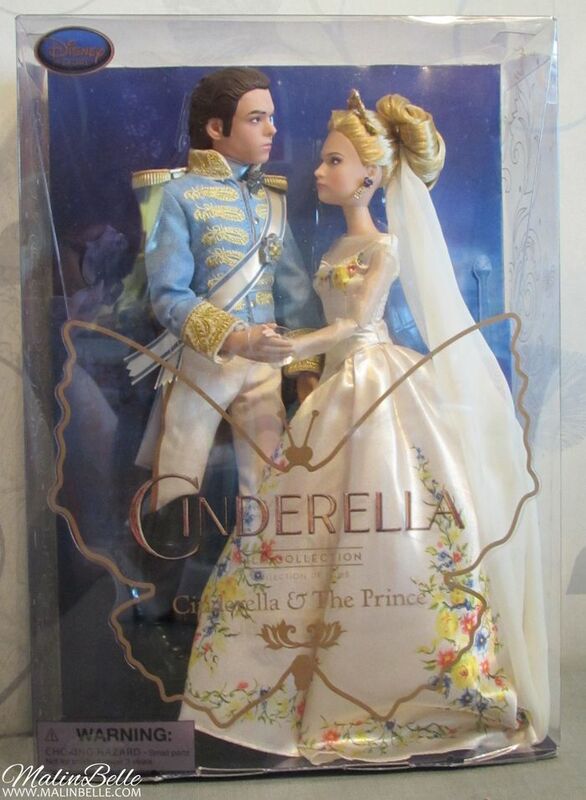 Cinderella & The Prince Disney Film Collection. 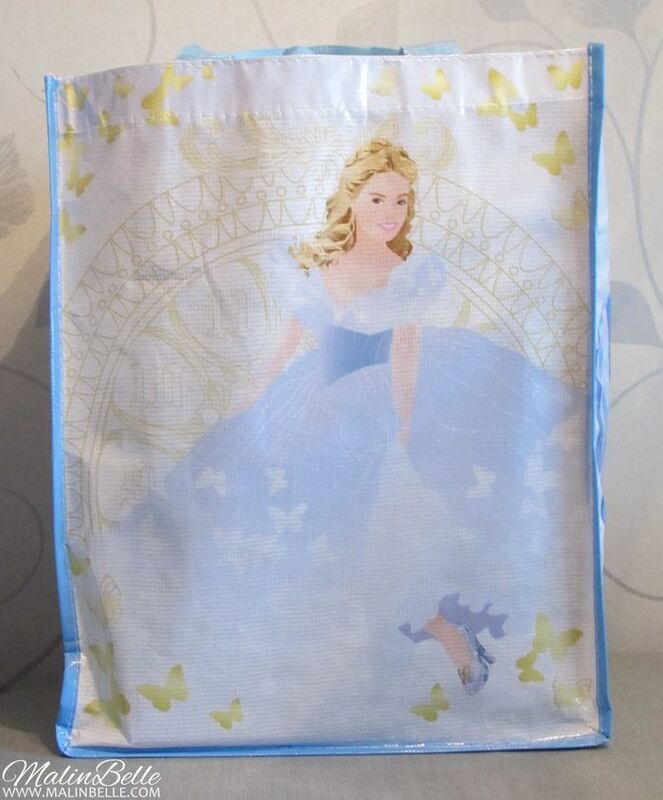 Disney Store had a “Cinderella” contest on their Facebook page not that long ago and I was lucky to win the first prize which consisted of all the items above. 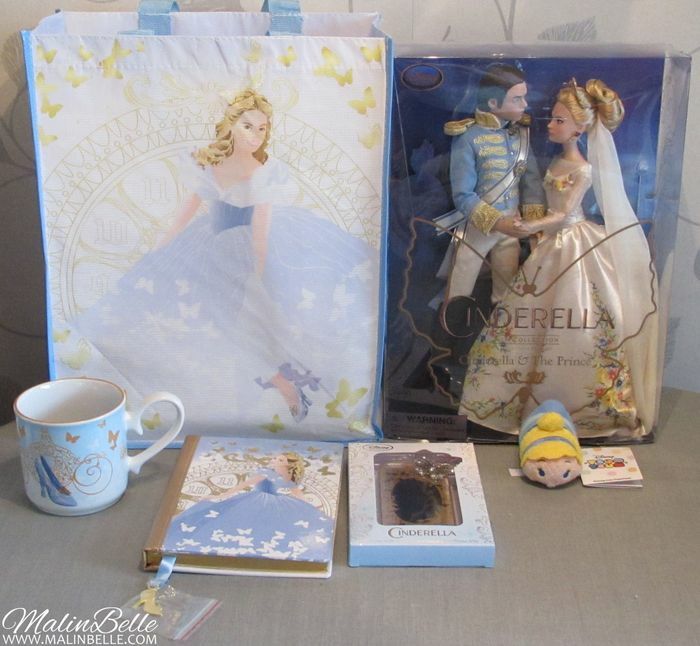 I'm a big Disney fan and I loved the “Cinderella” movie so I'm very happy that I won these things! 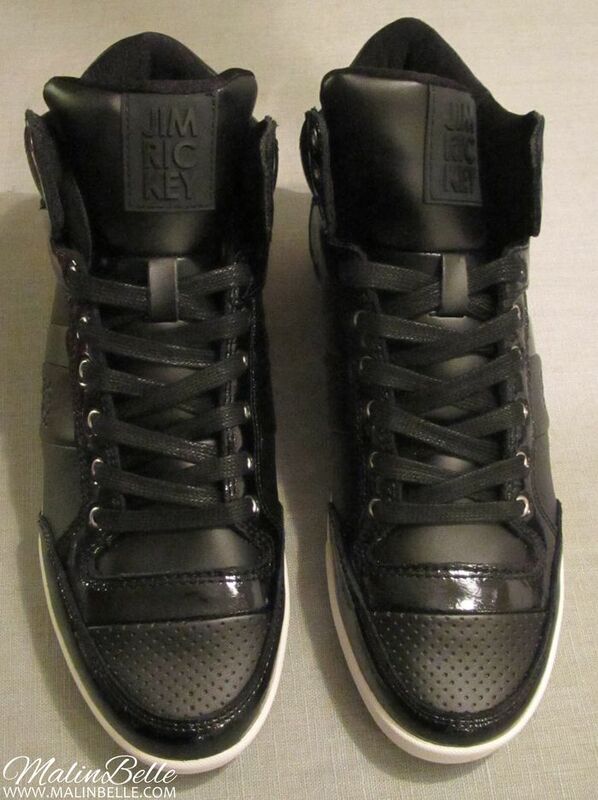 ♥ All of the things are so beautiful and I like all of them. 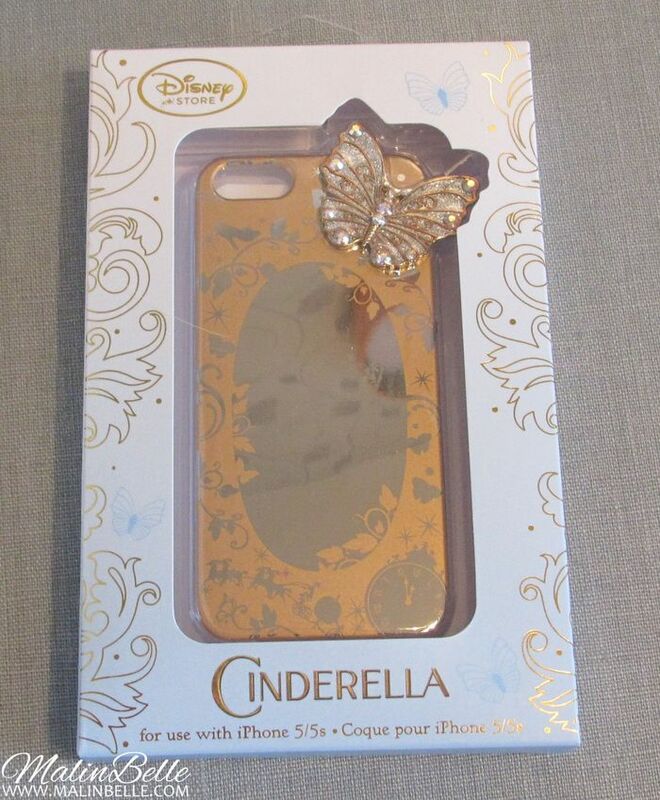 I don't have a iPhone so unfortunately I won't be able to use the mobile case but I might just keep it anyway since it's so beautiful. 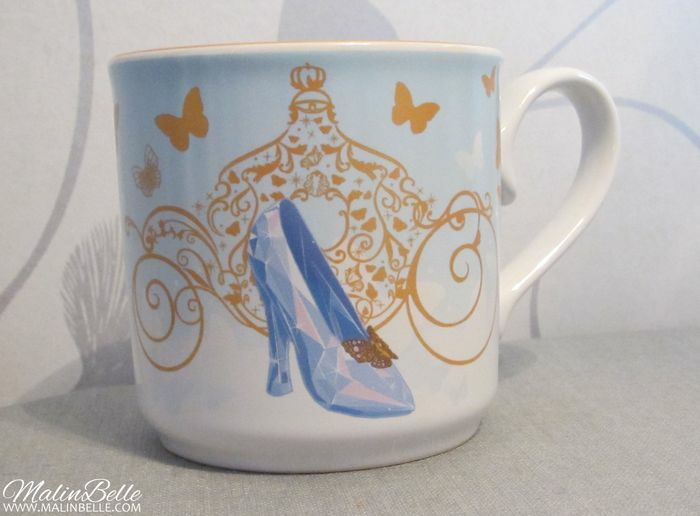 Once Upon a Tee contest by Mugglenet. 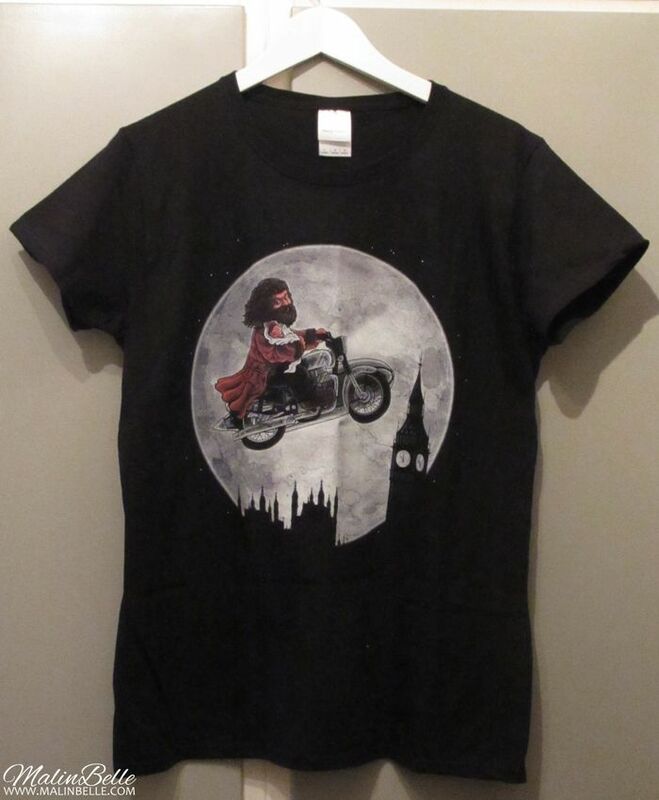 Earlier in the week I got this t-shirt that I won from Mugglenet and Once Upon a Tee! 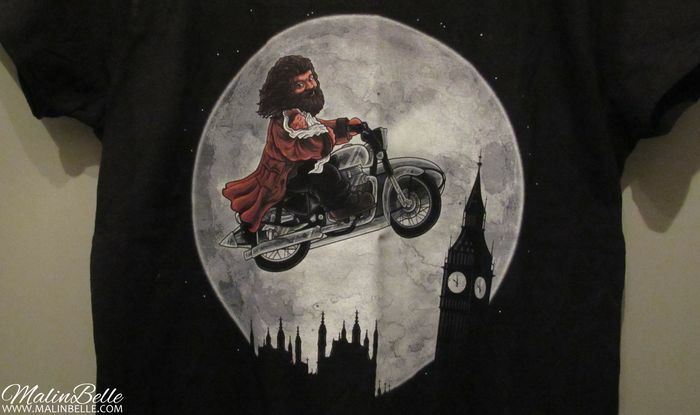 Mugglenet had a contest with Once Upon a Tee where you could win a tee of your choice and I chose this design with Hagrid and Harry Potter. Once Upon a Tee is a website that features work from artists around the world in the form of t-shirts and Mugglenet is a website about Harry Potter so of course you could win a tee with a Harry Potter design. Hollygood contest by Ferrero Rocher. 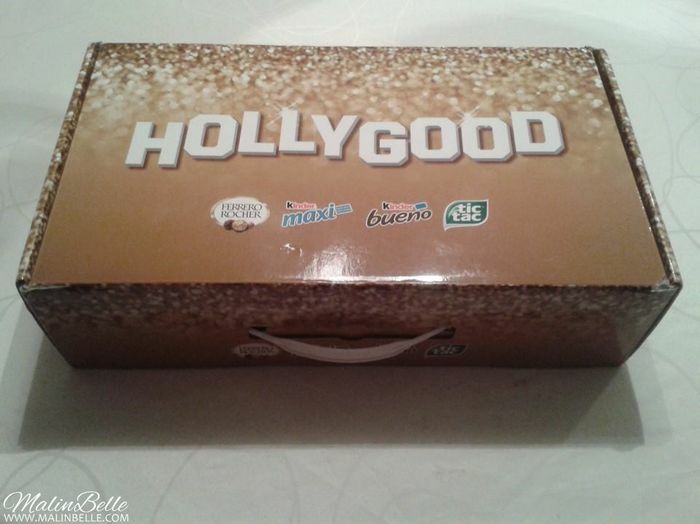 I won this Hollygood-box from Ferrero Rocher! 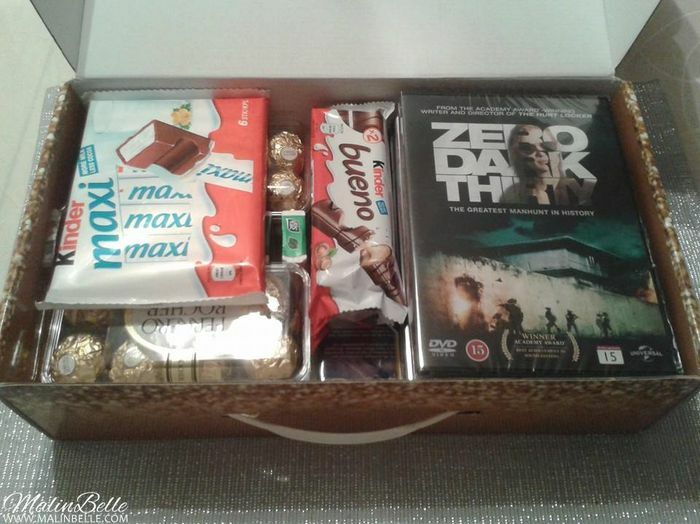 The box was filled with the movies “Battleship”, “Bridesmaids”, “Contraband”, “Les Misérables”, “Savages” and “Zero Dark Thirty” and the sweets are from Ferrero Rocher, Kinder Maxi, Kinder Bueno and Tic Tac. 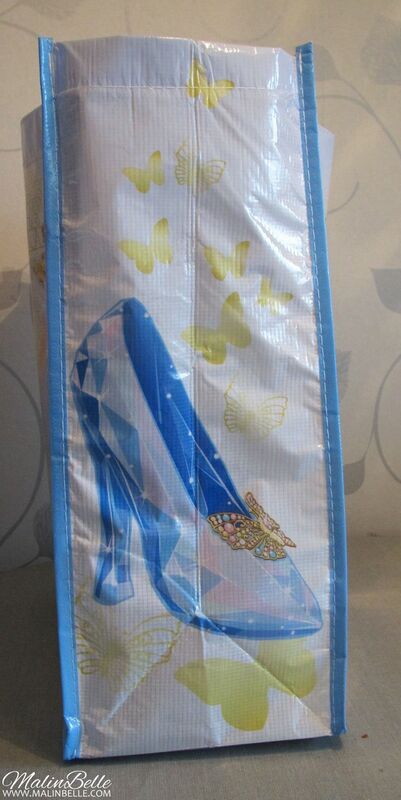 My Mom was nice and picked up this Nivea kit from the post-office today that I also won last week. 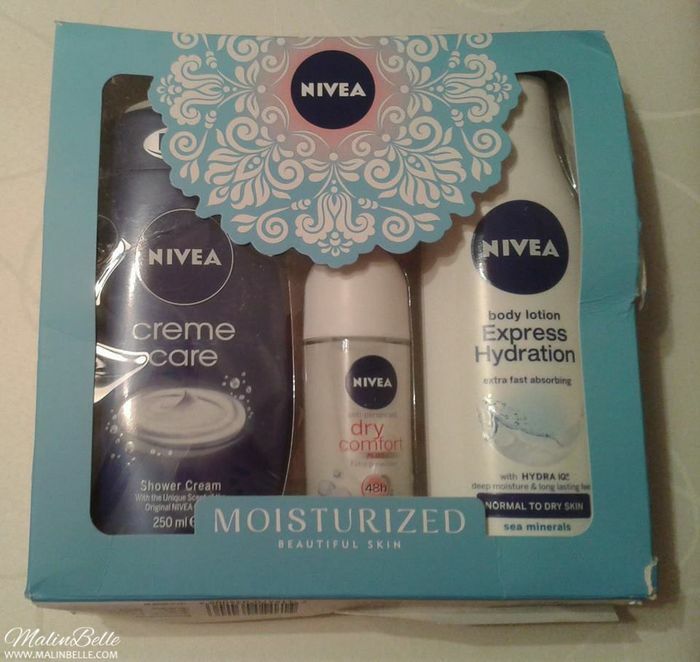 The Nivea kit consists of 1 Creme Care Shower Cream, 1 Express Hydration Body Lotion and 1 Dry Comfort Deodorant. I will definitely use the Shower Cream when my current shower cream is out. I may use the deodorant just to see how it's like and if it really lasts for 48 hours but I doubt that it's better than the deodorant I always use (which is Bats from Apoteket) because I think that's the best deodorant out there. I honestly never use body lotion and I don't even own any so I'm not sure if I'm going to try this one or not but otherwise I'll obviously give it to someone so it won't go to waste. I won this Nivea kit in the Advent calendar on Sannas Rum.